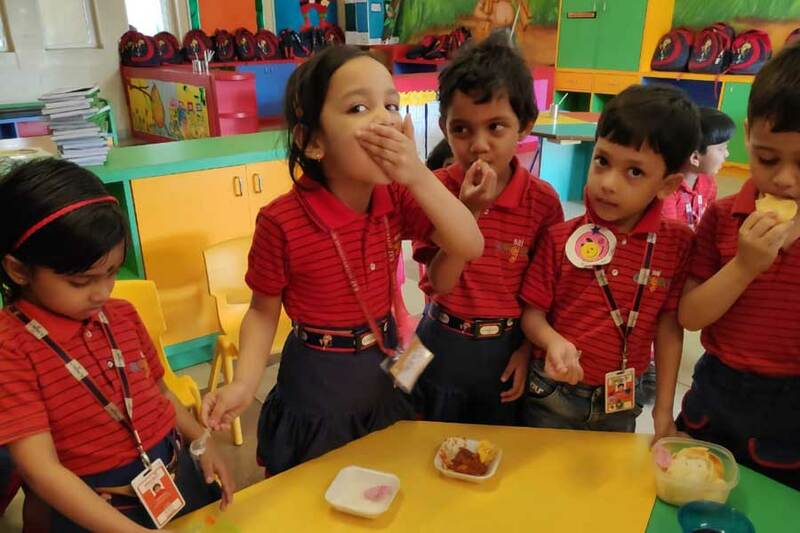 As the students of KG I climbed a step higher this academic year and joined KG II, their level of enthusiasm and willingness to learn also increased. 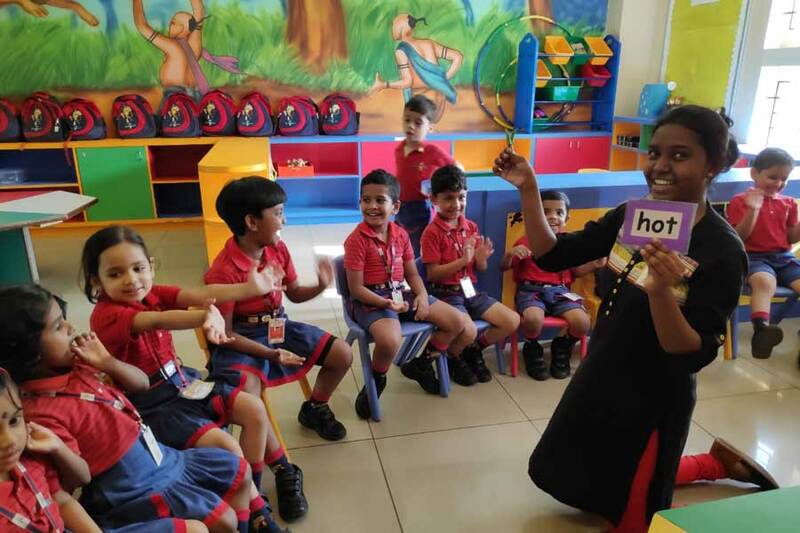 The children are full of ideas and information and have zeal to learn more each day. 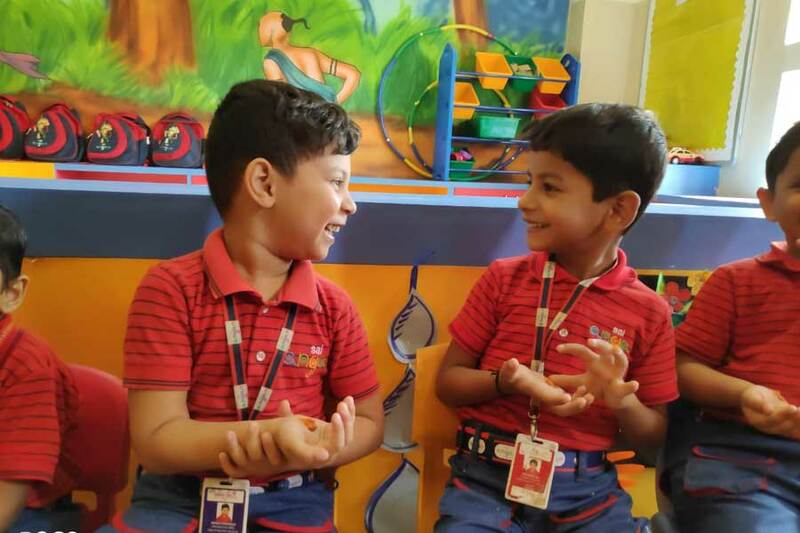 To channelize their energy in an innovative way, they were made aware of different types of sense organs and particularly about ‘Tongue’. 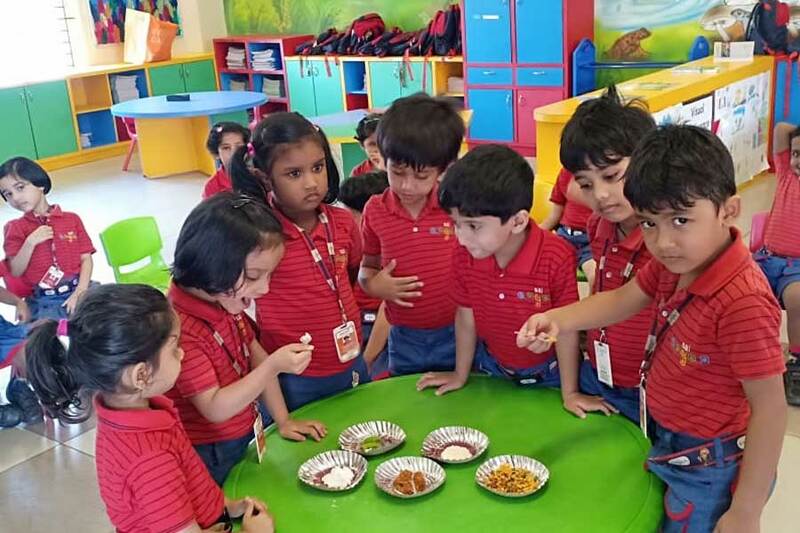 An interactive session was conducted between the children and the teacher, where there was an exchange of information from both sides regarding tongue and its importance. 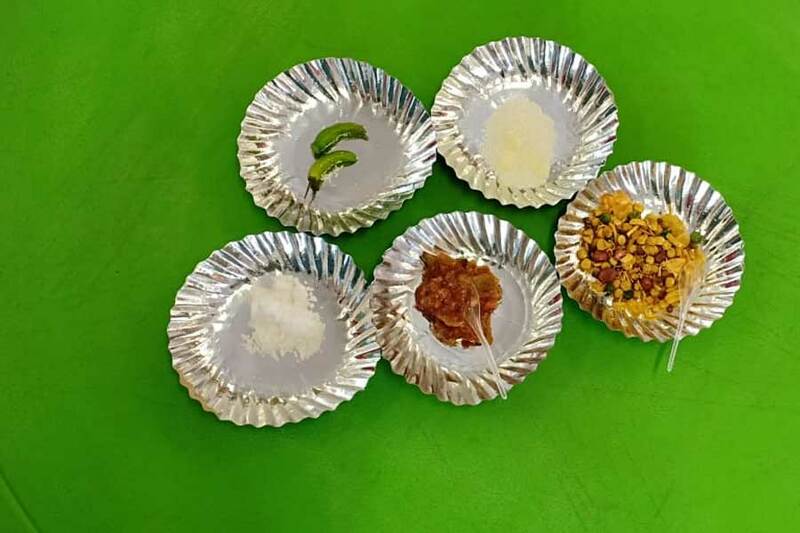 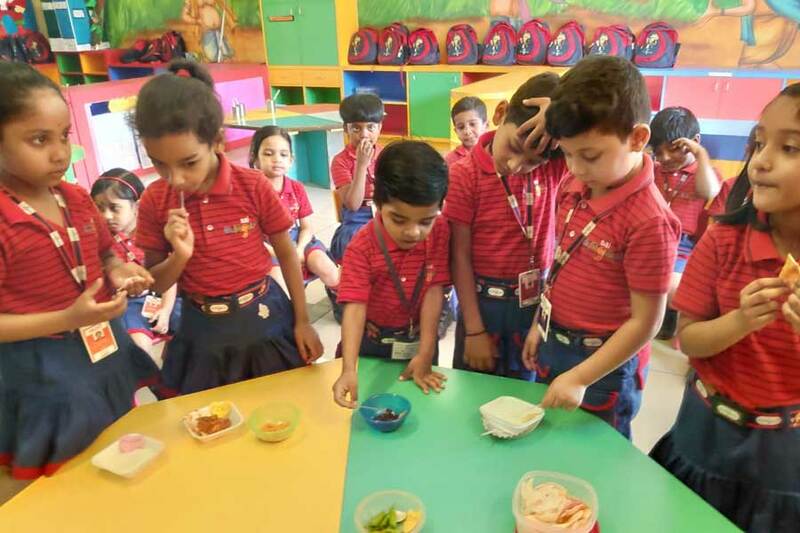 The interactive session was followed by an interesting activity where the teacher placed various eatables with different tastes on a table. 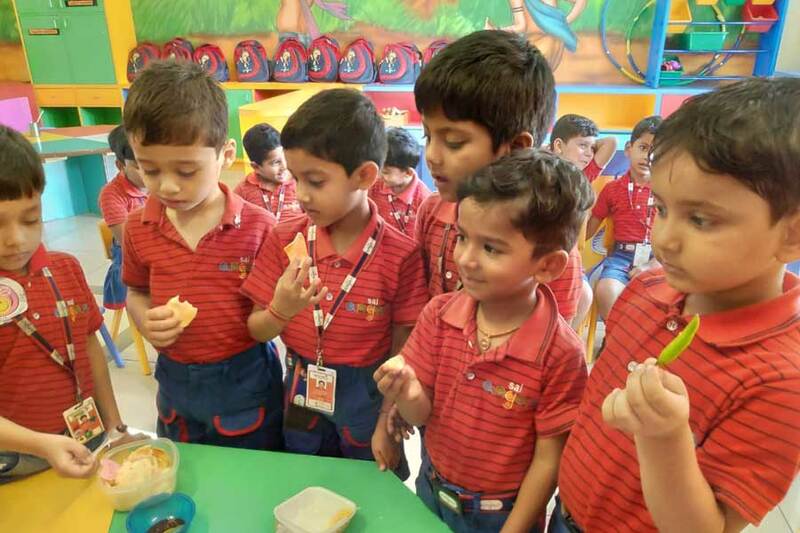 The students were asked to taste the various eatables and share how it tastes with the others. 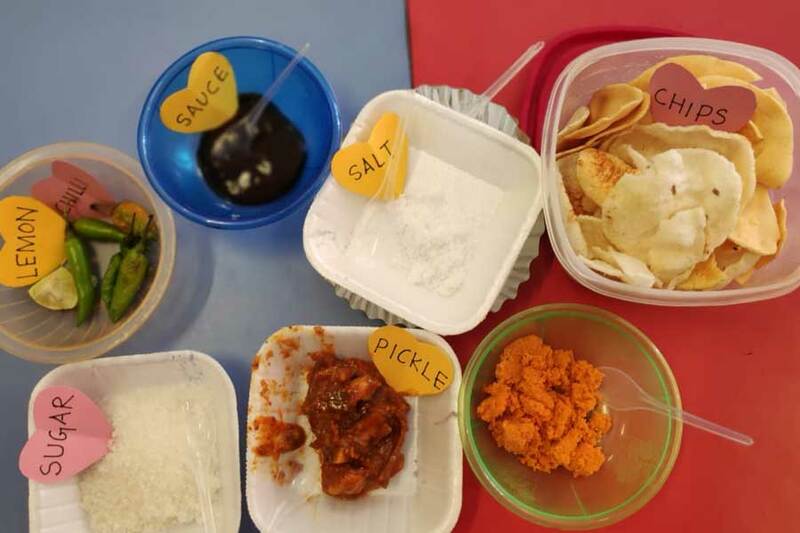 This activity helped enhance their inter-personal, intra-personal and visual skills.